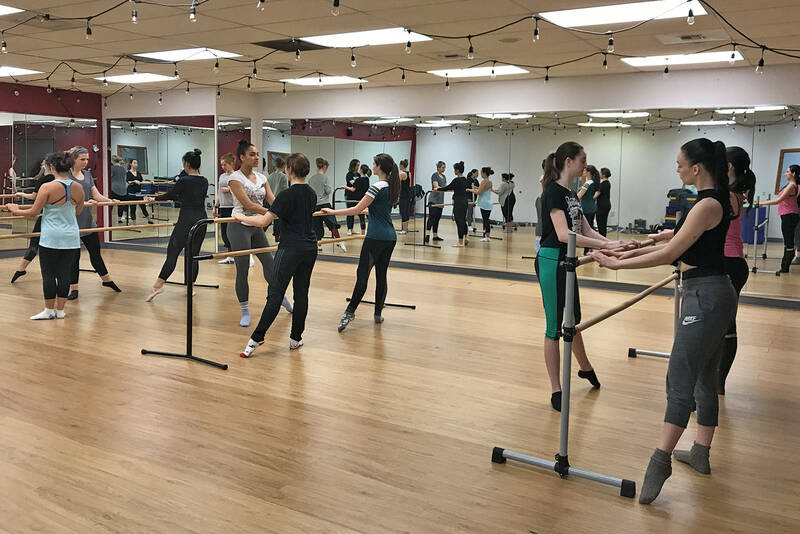 A true neighborhood studio, Crescendo Dance Academy offers classes for children, youth and adults, in addition to a competitive dance program and an Artist in Residence program. Have you ever woken up, glared towards your ceiling and pondered how fantastic it would be to have your passion also become your career or business? This is exactly the epiphany Katie Saito had as she thought about her next business venture. Katie, or “Mama Katie,” as she is affectionately called within the business and Asian community, first opened a travel agency and import/export trading business in the heart of Seattle’s international district. After selling both businesses when her first child was born, Mama Katie later opened several restaurants in the Greater Seattle area, selling each when her next two children were born. Once her children were in school, Mama Katie sought additional activities to keep them active, and this included dance. As the middle child among eight siblings, Mama Katie couldn’t pursue dance as a child herself, so she was keen to offer her children the opportunity. She enrolled them in dance class as soon as they were in preschool and from that moment, Mama Katie was hooked. As each of her children progressed in dance, so did Mama Katie’s passion for the art, and after 17 years of launching new businesses while also serving as Dance Mom extraordinaire, Mama Katie decided to mix her entrepreneurial skills with her passion for dance. Mama Katie opened her dance studio, Crescendo Dance Academy, in the heart of the industrial eastside of Bellevue, WA., but while she loved dance, and knew the components of great dancing, how could she teach the students? That’s where serendipity played a part. Through a timely meeting and mutual friends, Mama Katie met Elbert Lubas. Elbert had been teaching at Seattle-area studios while also serving as the Artistic Director of his own non-profit dance company, Syncopation Dance Project. After sitting down with Mama Katie and her eldest daughter, Kana Saito, Elbert joined the team as adjunct staff member to Crescendo Dance Academy. Today, a year after Crescendo Dance Academy’s full launch, Elbert is the Artistic Director, while Kana Saito is the Director of Studio Operations. To support the studio’s continued growth, Mama Katie sold her idea and the studio to a young couple from Beijing – Vivian and Sean Tong. Crescendo is a true neighborhood studio. In addition to classes for children youth and adults, Crescendo also offers a competitive dance program and an Artist in Residence program, which allows new choreographers and dancers free studio space to create new concepts or allow them to create artistically. Crescendo also sponsors a variety of community events in partnership with Syncopation Dance Project. Come be part of this awesome community! Crescendo Dance Academy is open daily at 14150 NE 21st St., Bellevue, WA 98007.